Sinobaler's Pneumatic Strapping Tool is used to join PET/PP Straps when strapping compacted bales. With a friction weld joint, the Pneumatic Strapping Tool is lightweight, durable and efficient, providing a quick and hassle-free strapping process. The use of Sinobaler's Pneumatic Strapping Tool ensures that PET/PP Straps will be uniform and fastened close to the surface so that compacted material will not come loose or drop out during storage or transportation. 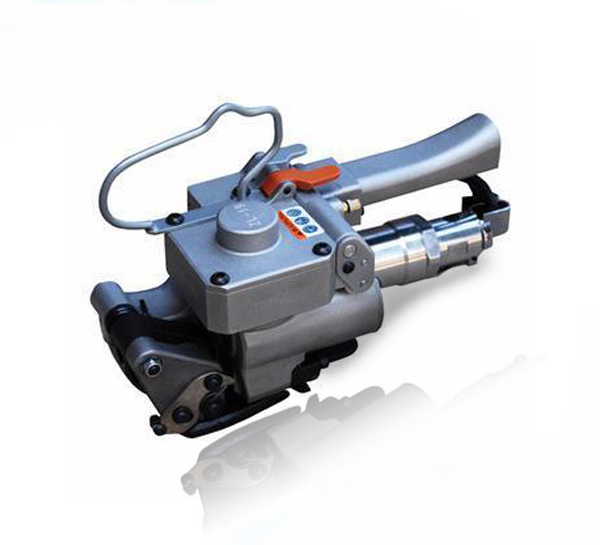 The Pneumatic Strapping Tool requires air pressure created by an air compressor, and Sinobaler recommends the Silent Oil-Free Air Compressor as an efficient, cost-effective solution. Contact us today for your Pneumatic Strapping Tools needs and one of our professional representatives will answer all of your questions.